For 7 years Telematics Conference SEEurope is the only telematics focused conference and exhibition in Southeast Europe. It brings together 120+ key stakeholders from commercial telematics. With carefully selected speakers Telematics Conference SEEurope represents the best opportunity to hear about the latest achievements in telematics, logistics and transport and also about the particularities of the regional market and how to become a regional player. It is open for everyone interested in doing business in this region. Meitrack releases the newest palm-sized 3G personal GPS tracker, the P99G. This expands the number of personal trackers for Meitrack. It will be available for pre-order samples in late July 2017. The P99G has a rugged sturdy housing making it water resistant (IP67 rating), dustproof, shockproof and durable. It can withstand being submerged in water for up to 30 minutes in a 1-meter depth. It will come with Wifi GPS location and various charging options. After it flows into the market, we predict it will be one of the most popular units among sports lovers, adventure seekers and workers (miners, construction workers, electricians, etc). The P99G GPS tracker is ideal for various outdoor activities, such as hiking, camping, fishing trips, snowboarding, rock climbing, kayaking, etc. Fleet management optimization is one of the most important tasks in transport monitoring. 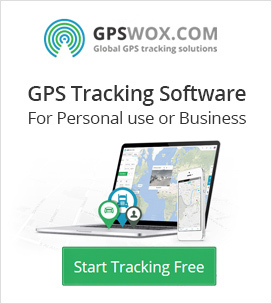 Despite the fact that professional GPS equipment has broad opportunities, mostly used solutions imply only fuel level control and vehicle tracking. How else can you optimize costs and improve the efficiency of fleet management? In this article, we have gathered TOP-10 options. While we are on fuel level control, it is important to mention that standard embedded sensors are not enough. The perfect system will record not only the current level of fuel, but also consumption, refueling, draining. Digital fuel level sensors are highly accurate and can cope with this task. Connecting sensors to Galileosky tracking devices by RS232 and RS485 interfaces will allow monitor all indicators in real time. Thanks to RS485 protocol support, up to 16 fuel level sensors can be connected to the GPS tracker at the same time – this option is mostly suitable for special vehicles with several fuel tanks or stationary fuel facilities.